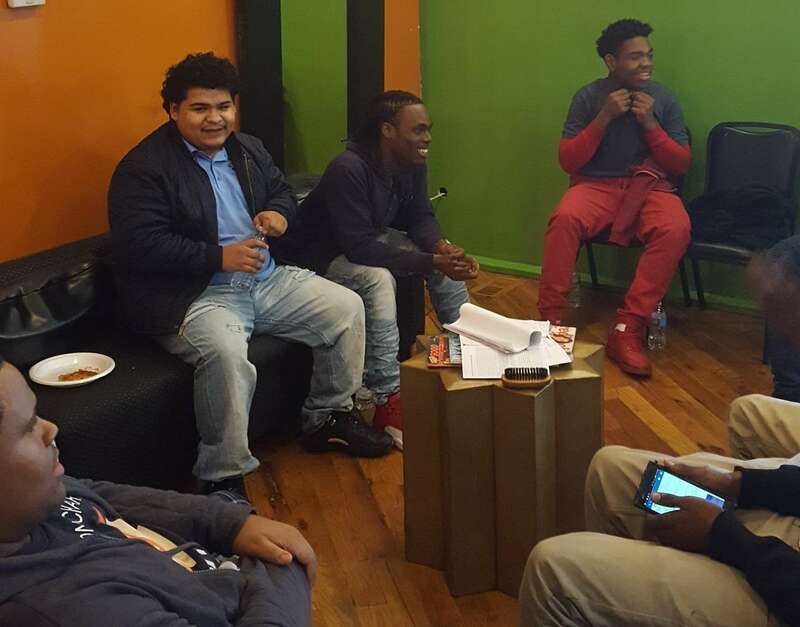 On Oct. 24, 2016, the young men from Dr. Pedro Albizu Campos Puerto Rican High School participated in the Shop Talk , which will promoted civic engagement by providing a platform for our youth to have in-depth, moderated conversations addressing social issues and exploring solutions. 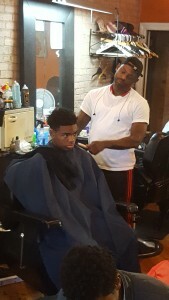 he event “What can we do about the violence in our community?”, sponsored by the Alternative Schools Network, was filmed at Teasse Salon in the Bronzeville neighborhood. 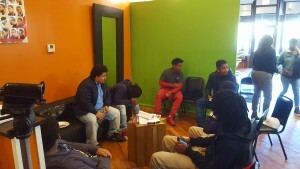 The students are looking to building this type of restorative practice to the Humboldt Park community and build leadership among young men.